Solve A Mystery With Your Kiddo Throughout This Bunny Story! What has a fluffy tail, lucky feet, two big ears, and a pink nose that twitches? 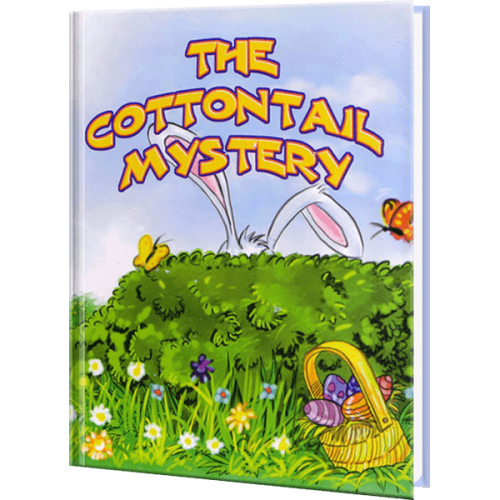 Your young child will really love solving the mystery as each turn of the page brings another rhyming clue and a partial picture of our cute little Easter Bunny. The illustrations in this personalized children's book capture the flowers and butterflies of Easter Springtime.